Enriched Formula with a 350% absorption rating. 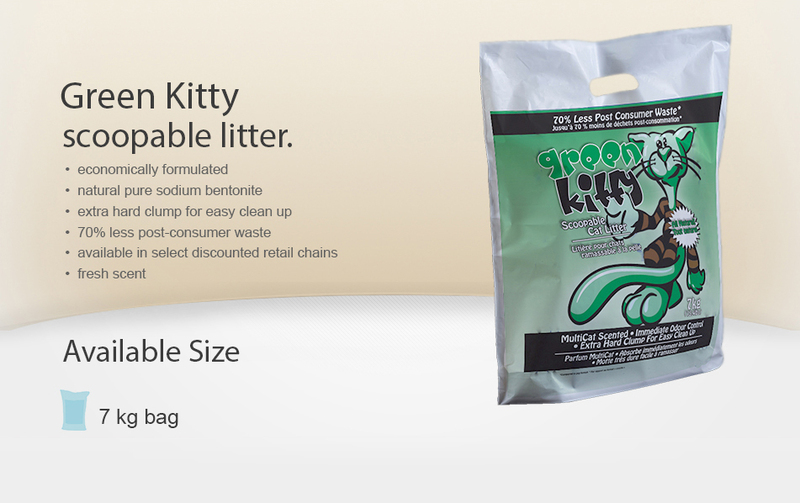 GREENKITTY SCOOPABLE CAT LITTER is an economically formulated cat litter that can be found in select discounted retail chains. 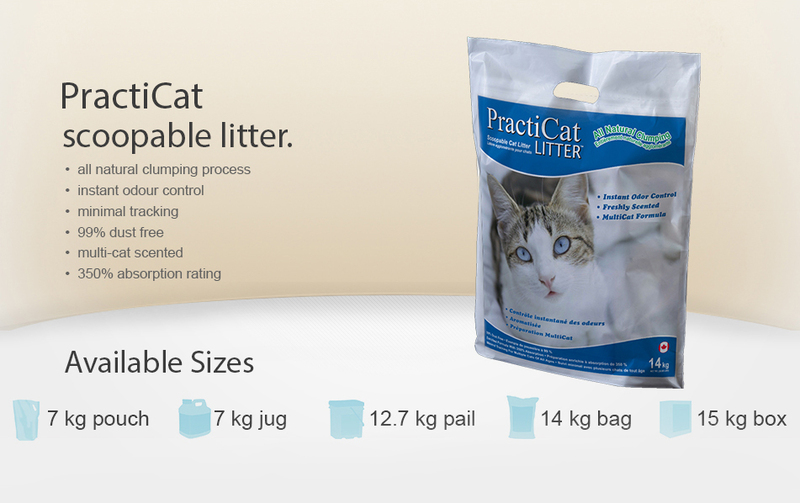 Greenkitty is made from all natural pure sodium bentonite clay that forms an extra hard clump for easy clean up. Greenkitty packaging accounts for 70% less post-consumer waste when compared to other package types, such as jugs. 7 kg bag / 15.4 lb. bag.